Length of the tour: We recommend either doing the tour in 3 days (fast tour) or in 5 days (large tour). More information about the 3 and 5 days tours on our package pages. Sense of turn: It is advisable to go around clockwise in order to climb the the ladders of the pass of the Ottans (going up is easier than going down). 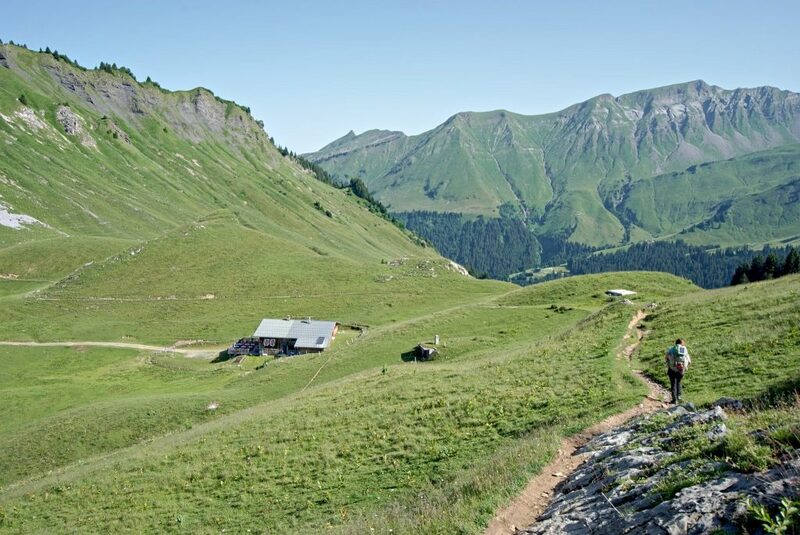 An easy and pleasant stage, the Hike from Barme to Bonaveau offers a magnificient view over Champéry and the Dents Blanches. This stage is very easy; The path is wide and perfectly marked. 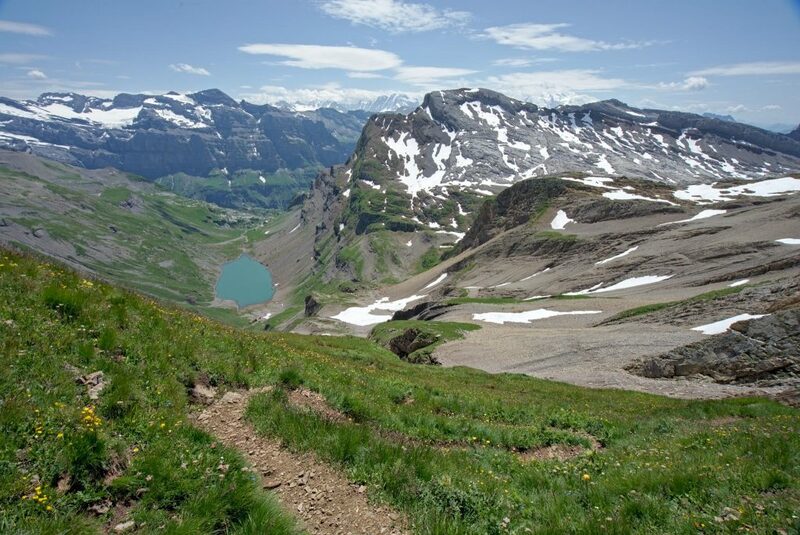 This stage is part of the Tour des Dents Blanches but also the Tour des Dents du Midi. This section is mainly uphill and offers a stunning view over the Val d'Illiez, the Ruan glacier before reaching the sunning Susanfe circus. A stunning stage on thie Tour des Dents Blanches. 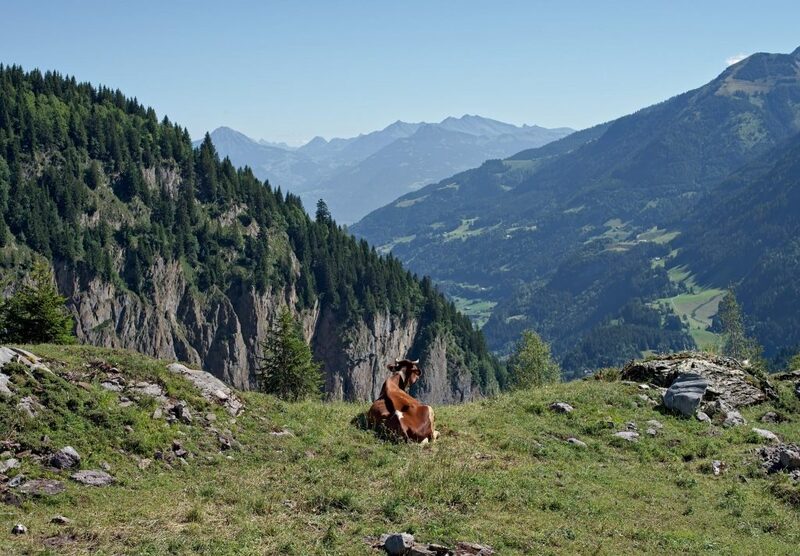 The section Susanfe - Vogealle offers an impressive view over the french and swiss alps. 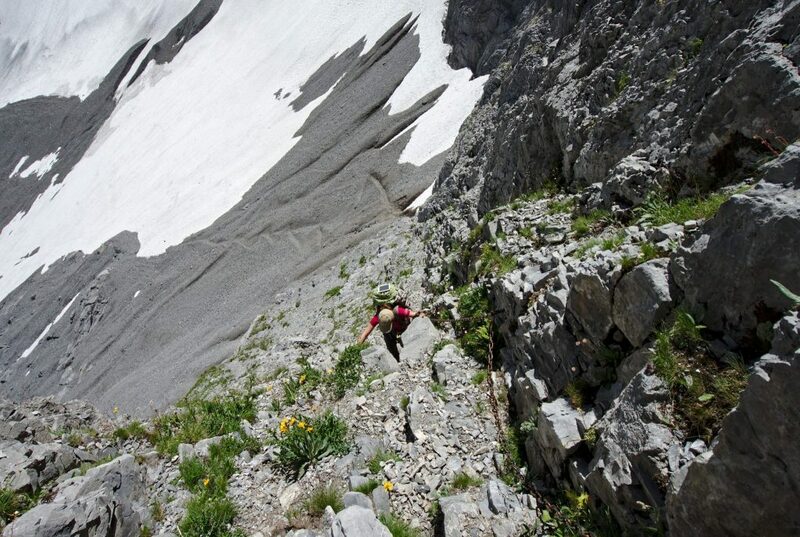 This section is mostly famous for the ladders that awaits the hikers before the col des Ottans. 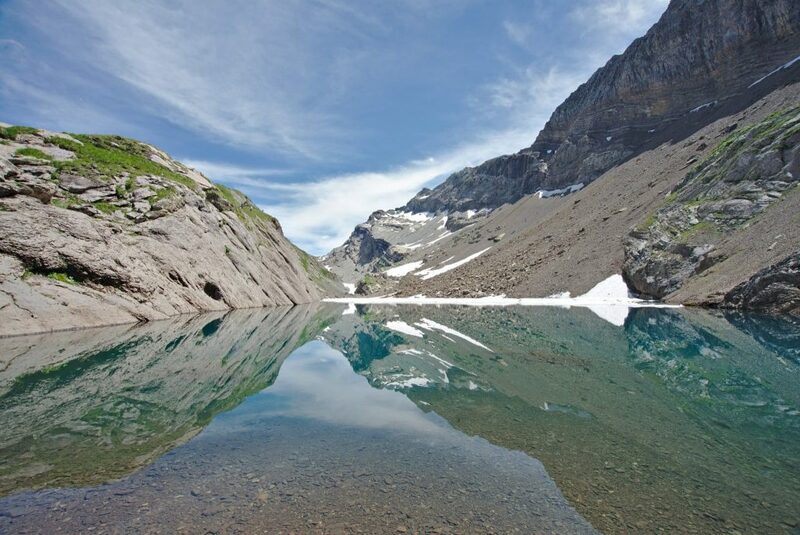 Beautiful stage that will take the hikers passed the magnificient lac des Chambres, an alpine lake with crystal clear water. 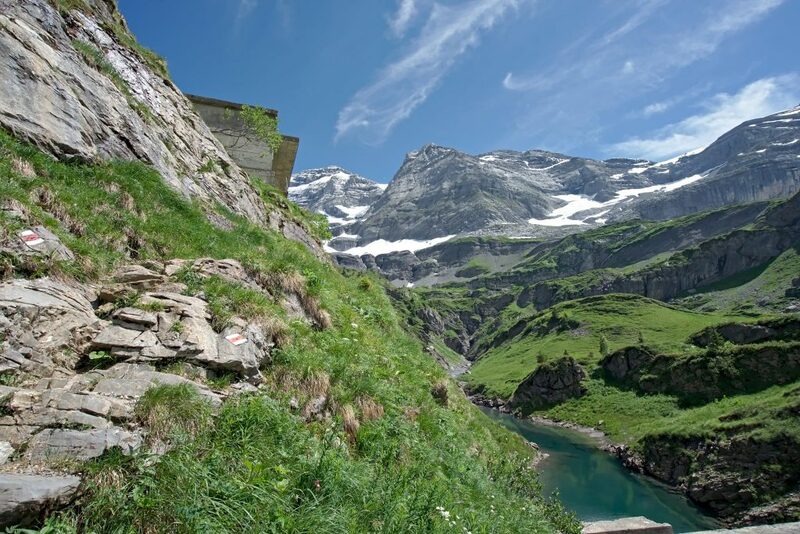 This route is said alpine with several screes and neves to cross and offering a stunning panorama over the Alps. Starting int the Refuge du Folly the trail goes up the valley until reaching the spectactular Pas au Taureau. The path up the Valley is truly magnificent with many beautiful flowers on the way. After the pass the track goes down to Bostan. 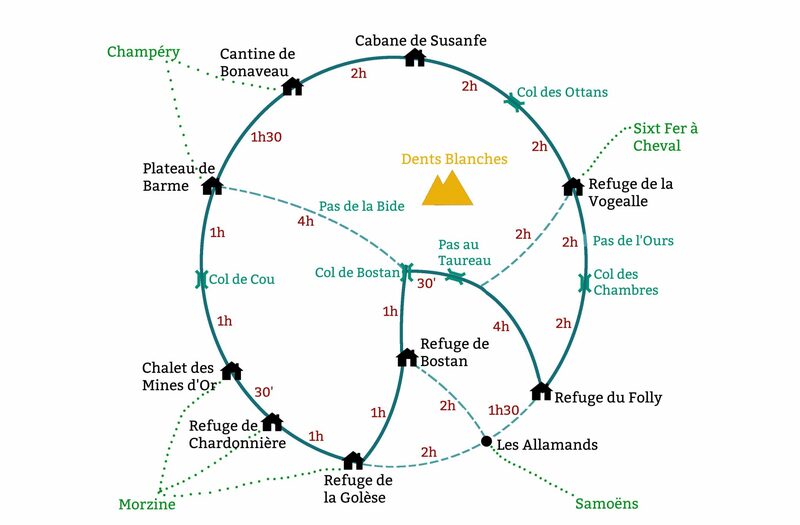 A short and easy stage of the Tour des Dents Blanches, the Bostan - Golèse section can be completed in less than an hour and has no major difficulty. A short but beautiful stage: The Golèse - Chardonnière part of the Tour des Dents Blanches is probably one of the easiest part of the hike. Little elevation change and only 2,8km. 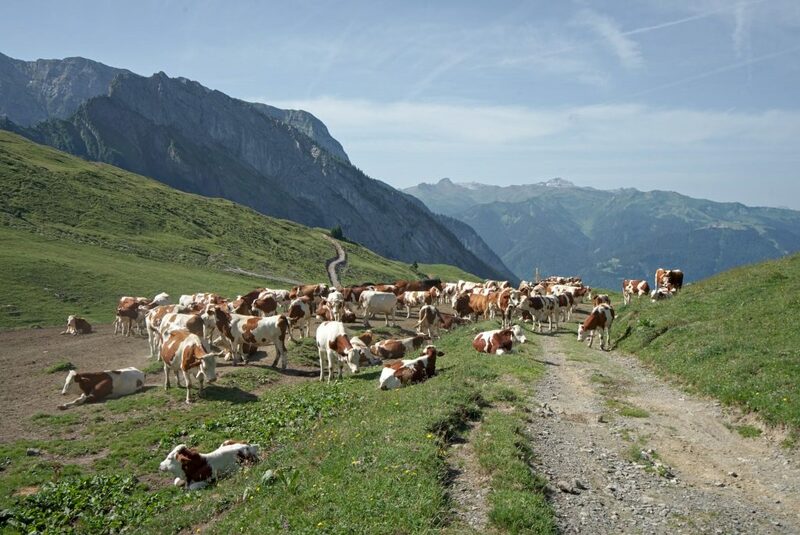 A short stage that will take you accross the border at the Col de Coux. 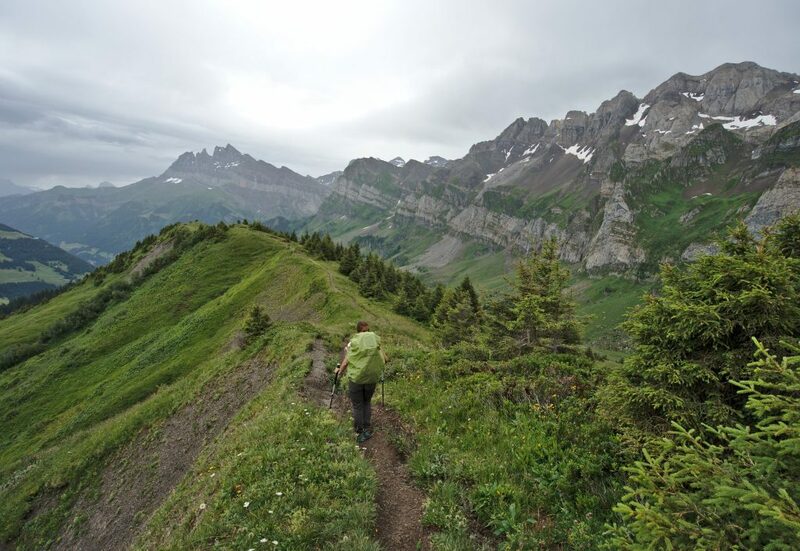 A beautiful pass with one of the most stunning views over the Dents Blanches.